The sweltering heat is here now after the spell of rain and tornadoes. 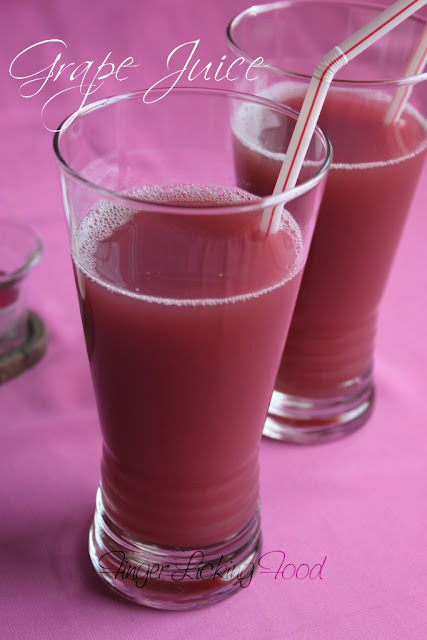 There are a few local shops in Mysore, where I hail from, which sell ice-cold grape juice that’s refreshing to the last drop. I had quite forgotten about it until a batch of sour grapes had me wondering what to do to make them more ‘edible’. Grape juice came to my mind and a quick call to mom to confirm the method had me whipping up grape juice in no time. The method is extremely simple and something you can make with a non-sour batch of grapes too. Hot summer months back home meant fruit and vegetable juices day in and day out to quench our thirst. We had the luxury of savoring juices, made fresh, unlike now where everything is either canned or bottled.This juice is as fresh as it can get! Place the washed grapes in a deep pan. Add water until the grapes are barely immersed. Bring to a boil on medium heat and simmer until the grapes begin to burst. Don’t overcook. Drain and reserve the liquid. Blend the boiled grapes. Strain using a sieve to extract the juice and discard the pulp. Add the reserved liquid and extracted juice to a pan; add sugar to taste. If the grapes are sour they require more sugar. Bring to a boil and simmer on medium heat for 10 minutes, until thickened. This is the grape juice concentrate.Store in an air-tight container, refrigerate. To serve: Dilute one part concentrate with two parts chilled water. You can add more concentrate to your taste. 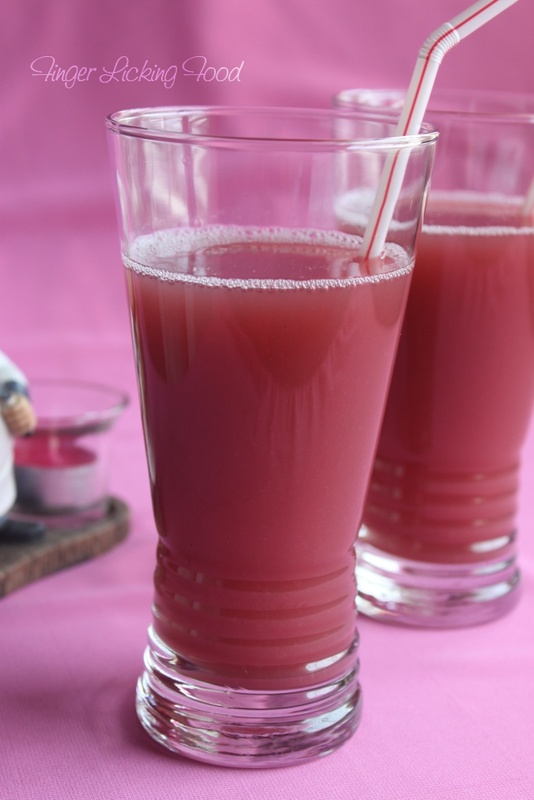 It is important to use seedless grapes to make this juice. 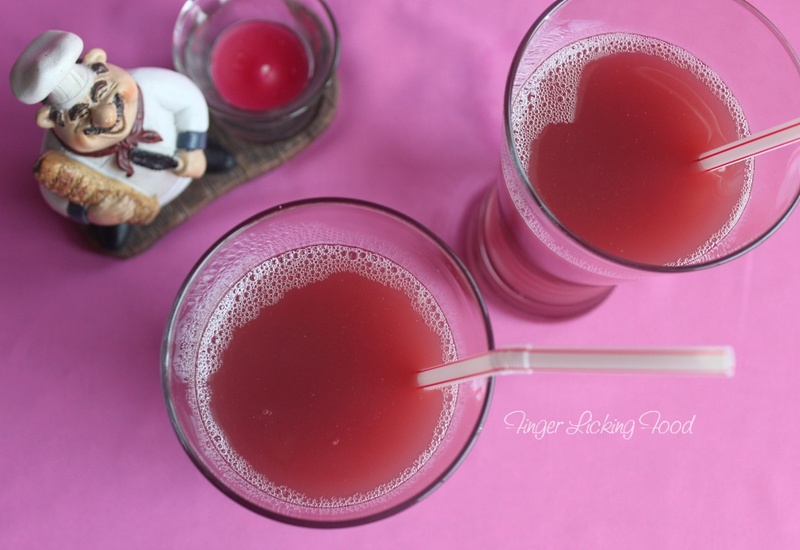 Sipping on this juice took me right back to my college days when a lot of us spent hours together chatting over grape juice. yep the perfect favourite drink for me for all seasons! looks grab worthy!!! Perfect for this unbearable heat...!! Very well presented!! Soo refreshing and fabulous drink..love it..
@ Ramya, the concentrate will stay good for up to two weeks, refrigerated and in an air-tight container.